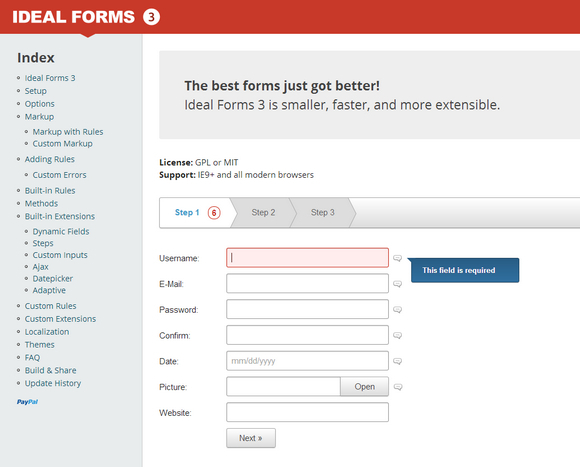 Ideal Forms is the ultimate framework for building and validating responsive HTML5 forms. It has just released V3, which is smaller, faster, and more extensible. It supports On the spot validation, Fully adaptive (adapts to the container, no css media queries needed), Keyboard support, Custom checkboxes/radios and file inputs, Custom seamless jQuery UI datepicker, Support for third party extensions, Localization.